This scoping review was supported by a knowledge synthesis grant awarded to the research team by the Social Sciences and Humanities Research Council (SSHRC). The research team is comprised of professors, students and research assistants located at the Université de Montréal in Montreal, Quebec, Canada and Middlesex University in London, UK. Situated primarily within social work related disciplines, team members engage in participatory, social justice and equity-oriented research and advocacy. Edward Ou Jin Lee is an assistant professor at the School of Social Work at the Université de Montréal. Ed’s interests include critical, decolonizing & anti-oppressive social work, critical and participatory research methodologies and social policy advocacy and community organizing, with a focus on queer and trans people of color and migrants. Trish Hafford-Letchfield has a Doctorate in Educational Gerontology and is Professor of Social Care at Middlesex University, London, UK. Trish has a long history of engagement with equality issues concerned with gender, sexuality and sexual identities and undertaken a range of projects on LGBT aging, education and organisational development. Trish is the author of 14 books and more than 30 papers on topics in relation to social work and social care. Annie Pullen Sansfaçon is a Professor at the School of Social Work at the Université de Montréal. Her work focuses on the development of anti-oppressive theories, approaches and methodologies to promote ethical and emancipatory practice in social work. She has extensive experience in Social Action Research, a form of community-based Participatory Action Research, and in Self-Directed Groupwork, a method of intervention to work with oppressed groups, based on the same principles. She is the principal investigator of projects looking at the experiences of trans children and their families and is one of the co-founders and current Vice-President of Gender Creative Kids Canada, a Montreal-based community organization working with trans children and youth and their families. She is also a researcher at the Research Institute for Public Health of the Université de Montréal. Olivia Kamgain holds a Master's degree in Public Administration. Her Master's thesis focused on the barriers to access to health services encountered by trans people in the Quebec City area. 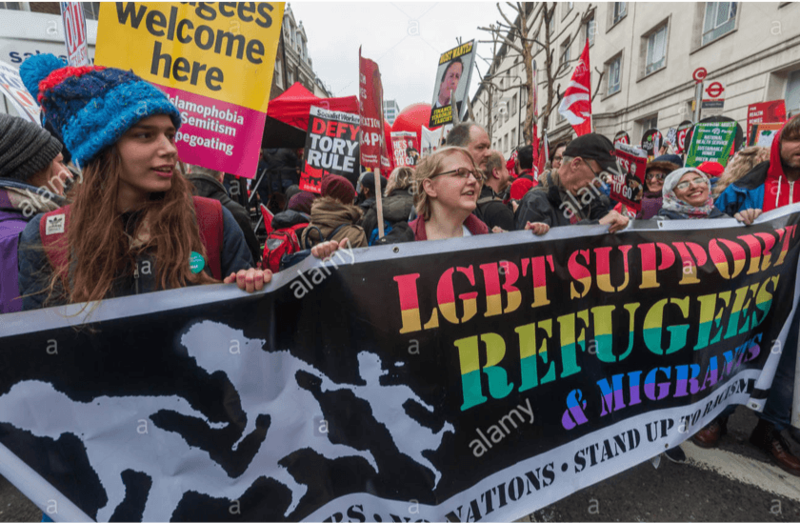 Her research activities focus on the adequacy of social and health services to the needs of LGBTQ people, the experiences of LGBTQ migrants and the representation of minority groups in public governance. She has also worked in various feminist groups in Montreal. Dr. Helen Gleeson is a research assistant at Middlesex University in the Department of Mental Health, Social Work and Integrative Medicine. Helen received her PhD from NUI Galway, Ireland, where her thesis focused on relationships between young people and the police. Since then she has worked on a range of research studies focusing on vulnerable adults, young people and families and mental health and wellbeing services and impacts.